When Malcolm Turnbull flagged his intentions to become prime minister of this nation, he said our nation required a style of leadership that respected the people’s intelligence, that explained complex issues, then set out a course of action and made a case for it. He said we needed advocacy, not slogans, and that we needed to respect the intelligence of the Australian people. Contrast those words with the scenes in federal Parliament last week, as senior federal ministers passed around a lump of coal. On Monday, we saw a call for an end to the partisan energy politics from the most diverse coalition of interest groups you are likely to see, including the Business Council of Australia, the ACTU and the World Wide Fund for Nature. These groups are right to call for an end to this toxic debate, which they say has “made energy investments impossibly risky”. All sides of politics must now heed this message and act in the national interest. Ironically, if you’ve been casually following the debate, just about everyone except Turnbull and his government thinks the EIS is a good idea. By contrast, an EIS seems to be the only concrete plan Labor has in its policy kit. However, please note that Weatherill has classified gas as ‘clean’. Richard Dennis has a range of reasons why no-one in their right mind would invest in new gas, and sees batteries as the logical answer, but unfortunately lacking the lobbying power of the gas industry. I think that to promote new gas-fired power stations with a 40-year life is to totally misunderstand the urgency of climate change action. I used to think we should reach zero emissions by 2030, now I think that is too late. Wind and solar will provide nearly all generation by 2050, with a significant amount – between one-third and one-half – coming from the nation’s rooftops. Battery storage in homes and business, and located on the grid, or at renewable energy installations, will balance the output and provide most network stability services. On top of this, this scenario will save $100 billion in upfront capital costs over business as usual, and also deliver significant bill savings – of $400 or more a year for “active homes”, those with solar and storage and smart controls, and more than $600 for “passive homes”, those with no interest or no possibility to pursue such technologies. I think he should have “active” and “passive” homes the other way around, but the big message is batteries. Parkinson gives some of the headline numbers discussed in the report. By 2050, more than 10 million customers will own distributed resources like solar, storage, home energy management systems and electric vehicles, which they can use to sell grid support services worth $2.5 billion per year. Rooftop solar PV will grow six-fold within a decade, and 16-fold by 2050, which is the equivalent of 80GW. Up to half of all electricity generation will be sourced “locally”, mostly on rooftops. Battery storage uptake will be significant, accounting for nearly 100GWh at the local level alone. This [local batteries] will be critical in the shaping of the new grid. This battery storage will play an important role in balancing the grid and providing the network services needed, along with centralised storage, which could be from batteries, pumped hydro, solar thermal, or other. Presently the industry is sliced vertically into customers, retailers, grids, long haul transmitters and power stations, which are all supposed to be competitive and contestable, except the long-haul transmitters. Then there is the Australian Energy Market Operator (AEMO), who balances supply and demand. I’d suggest consideration might be given to taking the retailers and AEMO out of the system and allowing the grids to interact directly with customers and energy suppliers. The grids would be responsible for finding the power to keep the lights on. Some of the power would be sourced from the customers. Accountability would be clear and direct. Each area only needs one grid, we don’t need contestability and competition in that function. Bruce Mountain suggests that power be given back to the states, which would be in synch with my suggestion. He points out that in 1999 when we started this adventure of contestability, competition and privatisation, Australians were paying some of the lowest electricity prices in the world. Now they are among the highest. Time to call the experiment a dud. He points out that in similar political systems like Canada, the USA and Germany the states have responsibility for power. Meanwhile the industry seems to be moving to renewables with storage in any case. 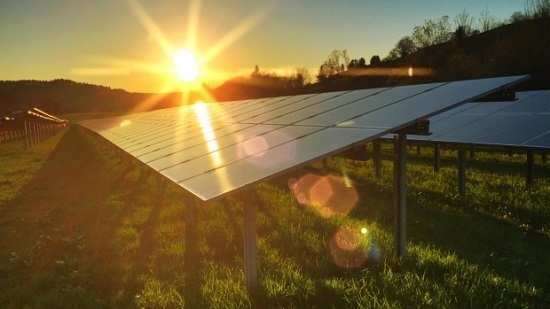 Australian company Lyon plans to build a “minimum” 100MW of solar PV paired with 100MWh of battery storage in South Australia. That is the very amount the state was short of in the recent blackout. The company plans for more than 1GW of grid-connected PV and 500MWh of battery storage by 2020. Then EnergyAustralia outlines plans for a 100MW pumped hydro plant on the Eyre Peninsula near the sea in SA. This one plans to use off-peak grid power. There are several more pumped storage projects in NSW and Queensland. Last November ARENA announced the provision of $449,000 in funding for the Australian National University to map potential short-term off-river pumped hydro energy storage sites around Australia. unprecedented level of investment in renewable energy occurring around the country. The wind and solar projects that will go to construction this year add up to more than $5.6 billion of investment, almost 3150 direct jobs and more than 2500 MW of new power capacity. It represents the biggest program of works for renewables since the end of the Snowy hydro scheme more than 50 years ago. This is “Jobs and Growth” writ large. There are no concrete coal or gas projects I’ve heard about. Renewables are winning the race for energy investment. There is a spoiler to home batteries. Queensland regulators, thought to be anticipating Standards Australia, want battery storage out of homes, garages. “A BESS (battery energy storage system) should be installed outdoors in weatherproof enclosures away from any living areas, laundries and garages. The enclosure should restrict access by untrained people, children, pets or vermin,” the Electrical Safety Office writes on its website. That’s all batteries, not just lithium-ion. At that rate you couldn’t park an electric vehicle in your garage. Will Malcolm Turnbull and the other thousands already installed have to comply? We seem to find new way of making geese of ourselves! Elsewhere Malcolm Turnbull’s scare campaign on electricity prices doesn’t seem to be working with the voters. This week the Guardian Essential Report asked lots of questions about electricity and climate change. The whole report is at that site, or Michelle Grattan has a handy summary in Government losing the argument on energy, according to poll. A total of 65% of people agree with Labor’s target of 50% renewable energy by 2030, including 55% of LNP voters. Only 16% think the blackouts were caused by too much reliance in renewable energy. 64% of people think renewable energy is the solution to our future energy needs while 14% see it as a threat. Only 12% of people think the federal government is doing enough to ensure affordable, reliable and clean energy for Australian households and businesses. Time to give up the scare campaign, Malcolm, and start a conversation that respects the intelligence of the Australian people. Finally, Labor’s policy was deemed a fail by some in the media, because they declined to promise a legislated mandatory Renewable Energy Target in capital letters. Their policy was a plan for a plan, much like Alan Finkel is engaged in now, with only an EIS as a nominated feature. The detail of some things are best left until you are in government, but I do think they could tell their story better. Much better. And an ANU study has come up with an uncomfortable fact – SA power bills rose less in the past decade than the coal-dependent states. Update: John D has linked to an excellent article by Hugh Saddler – Australia’s electricity market is not agile and innovative enough to keep up. The research puts the Levelised Cost of Energy (LCOE) of a new ultra-supercritical coal-fired power station in Australia at $A134-203/MWh; significantly higher than the LCOE of new-build wind at $A61-118/MWh), solar $A78-140/MWh or combined-cycle gas at $A74-90/MWh. The problem with new gas is that it can’t be allowed to live out it’s natural life. It will need to close within about 10 years for a good chance of a safe climate. The problem with CCS is that it’s expensive off the chart. Thanks Brian for this comprehensive overview of the energy debacle manufactured by the federal government. I came to the conclusion that the only rational explanation for Turnbull’s recent turn on renewables is solely to stop the bleed of those 14% of voters who are threatened by renewables from Liberal and National party to ON. Fossils fail NSW in middle of heatwave, so says AEMO! The report by the Australian Energy Market Operator released on Wednesday will fuel concerns about the stability of the National Electricity Market following three major black-outs in South Australia in the past five months and on-going concerns about energy security. The AEMO report confirmed plant outages on the afternoon of February 10 at AGL’s Liddell coal-fired power station (1000 megawatts capacity), Snowy Hydro’s gas-fired Colongra (724 megawatts) and EnergyAustralia’s Tallawarra gas plants (440 megawatts) contributed to the shortfall of power reserves during the heatwave which gripped the eastern states. AEMO – which runs the national electricity and gas market – says it will further investigate whether thermal plant capabilities are accurately reflected during extreme weather events. The Australian government’s chief scientific body says there is no apparent technical impediment to reaching 100 per cent renewables for the national electricity grid, and levels of up to 30 per cent renewable energy should be considered as just “trivial” in current energy systems. Toxic and ill informed debate isn’t helping. Identifying demands that can be turned off during crisis. Supplying more power as some form of controlled power (off-peak) and recognizing that it may help if there are a variety of off-peak power types. Changing some applications, such as fridges, so that they can handle off-peak power. All the research I have done says 100% renewables is doable. I feel an unsubsidised example ( Im against most subsidisation including energy ) could be formed off the Ord/ Lake Argyle that can start with an almost clean sheet and be a poster child project. Just need a group of private investors that can see the obvious benefits and anti-development Lawfare groups to be persuaded not to obstruct. Taxpayers have subsidised the Ord River Project for decades with very little return on investment. Jumpy will now respond by slagging off the ABC (can’t trust them to tell the truth) or telling us, “See, that’s what happens when you let the government run things”, completely ignoring the fact that Lake Argyle would not exist if it hadn’t been subsidised. No private enterprise in Australia has the cojones to tackle a scheme that big without taxpayers money. Mind you Lake Argyle already provides hydro power. Not sure how much government money went into it and the electricity is sold by Horizon Power (which is owned by the government). The loss of ten (including Hazelwood) power stations would be a problem. It sounds like the power plant owners are setting it up to “justify” and explain a massive hand-out to upgrade to the ultra high efficiency plants. And the government is still talking about sequestration as if will soon be viable! The Conversation ran an interesting article that asked whether Australia’s electricity market is agile and innovative enough to keep up with Australia’s rapidly changing electricity industry. “Old, inappropriate and difficult to change” summarizes the situation at the moment. Current market systems are not going to lead to logical arrangements to provide peaking power. 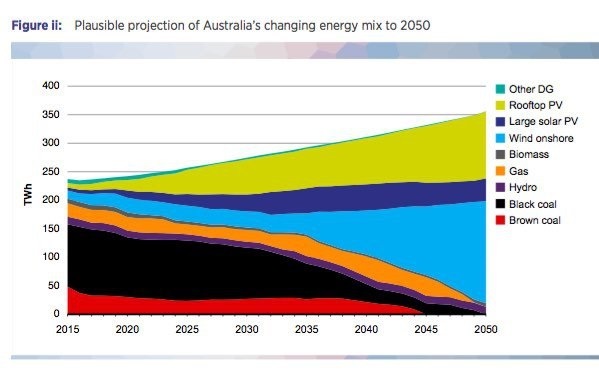 Even worse they are not going to be able to deliver a logical progression from fossil power to renewable power. For example, the shutting down of Hazelwood this year is being driven by the owner’s commercial needs, not some logical plan to ensure we continue to have sufficient power generation. Not the right time to have someone like Frydenburg who knows not very much about running large power supply systems. Lake Argyle is a very very bad example Jumpy. Big schemes for Northern development need very close scrutiny by someone other than Katter and his ilk. Ootz, I think Turnbull is being controlled by the extremes and risks losing the centre. John D that’s a great article by Hugh Saddler. John D also, if the states took back energy as suggested by Bruce Mountain, they would be able to conduct reverse auctions for new energy. Now it’s supposed to happen according to the whims and moods of the market. There are problems with leaving something as complex as our power supply system to a simplistic idea of markets based significantly on spot markets. – Max solar PV output varies with time of day, month and weather. In addition, it can be varied very very quickly, in part because of the nature of solar PV and also because solar PV can be split into small modules that can be switched on and off as required. It also needs no fuel so fuel supply and storage is not an issue. – By contrast, coal fired can provide steady output 24/7. However, it takes a long time to get started, has limited ability to be ramped down and has a fuel that has to be stored in piles that can catch fire if left for some time. There can also be problems setting up coal supply contracts when the amount of coal needed is erratic. The other problem with coal is that its operating costs are much higher than those of renewables. This means that the price at which it makes sense to shut down a coal fired coal plant is much higher than it is for renewables This means that if everything is left to the magic of the spot market we don’t have enough coal fired capacity for the times when it is really needed. As I keep saying, the power industry needs a planned transformation to 100% renewables and the type of market needed to drive this and minimize power costs are the market forces associated with competitive tendering for long term contracts to supply either power and/or standby. Long term contracts give power companies the confidence to make very competitive tenders. Solar energy is now cheaper in Australia than retail power prices in most capital cities after dropping 58 per cent in the past five years, the Climate Council says in a new report. Industrial-scale solar plants were also providing cheaper power than new coal plants, the council said. Climate Council chief executive officer Amanda McKenzie said 20 solar power plants were slated to be built around Australia. “In Australia, solar is now cheaper than new fossil fuels and nuclear power, and that’s been a big shift in the last few years,” she said. No wonder the fossils are getting agitated. One of the few advantages Hazelwood had, was it didn’t need to write coal contracts. Built right beside an open cut brown coal mine*, cheap mining, low transport costs. But very poor fuel, comprising 60% approx water. One of Latrobe Valley brown coal’s few advantages was its low sulphur content. * highly flammable in hot, windy, low humidity summer conditions; especially if showered by burning embers from a nearby bushfire; especially if coal mine water sprinkling system not functioning. in Australia’s primary frequency response market – currently dominated by gas peaking plants – prices have been known to surge past $5000/MWh when the grid suffers a sudden shortage of supply and/or surge in demand, or when gas generators game the system. Ootz, that’s a great article by Sophie Vorrath, also published at RenewEconomy. You’d have to think that the fossil fuel lobby must be behind the banning of batteries from basements etc. Why else would they extend it to all batteries, not just lithium ion? Sorry this might be off topic but it relates to my first comment on top re the Turnbull Government shoring up ON bleed by bashing renewables and Brian saying that “Turnbull is being controlled by the extremes and risks losing the centre”. Well my point is, how utterly morally deprived politicians, as a profession, have become. Never mind the related issue of climate change for a moment, but to use our nations energy future and managed transition thereof as a political football is an epic disgrace. My opinion of the Press in Australia and the US has been poor for a very long time. Now we see some of the pillars of US society being challenged by Trump. I worry that that same Press is now the most powerful gatekeeper with a reasonable chance of constraining Trump. Will they keep fighting trump or will they crumble and join Trump? Brian: We need at least some regulation for household batteries to cover the potential for explosions, massive shorting as well as toxic and flammable emissions . The regulation needs to be specific for battery types and, in some cases, battery size. Agree that one set of regulations for all smells like the fossils trying to block the future. JD I can see a risk there but is there evidence to assess that risk? Have home batteries been exploding or catching fire? And if there is a risk, does that same risk apply to cars that are fitted with Li batteries? Must they live outside now? I think you might be right that the fossil people are prodding this one along. And I am not sure about Australian Standards. I suspect they can be used to capture Policy. Julia Chen, the marketing director for China battery storage giant BYD, which launched a range of household and business products in Australia this week, said the guidelines had serious implications for the solar and battery storage industry. She said there were no safety issues for placing the company’s lithium iron-phosphate batteries in the garage, as they only “decompose” at temperatures of more than 450°C. She suggested minimum requirements based around international standards. John Grimes, the head of Energy Storage Council slammed the Queensland guidelines, which he said appear to have been produced without any industry consultation, were premature. Catherine Von Burg, the CEO of California-based SimpliPhi, says the reaction to battery storage units appears to be a flow-on from concern about a bad batch of Samsung phones. But while these fires are giving lithium-based batteries a bad name, Von Burg told One Step Off The Grid last week that the thermal runaway that causes them actually has very little to do with lithium and everything to do with cobalt, the cheap – and by some reports controversially sourced – mineral that has become an essential ingredient of rechargeable lithium-ion batteries. For these reasons, SimpliPhi doesn’t use cobalt, opting instead for the more stable chemistry of lithium-iron phosphate, or lithium ferro phosphate, that is also used by fellow US battery company Enphase and German’s Sonnen, among others. Chris Parratt, the head of Sonnen’s Australian operations, says he does not understand why Australia appears to be going in the opposite direction to the rest of the world on battery installation guidelines. Sonnen uses Sony-made lithium iron phosphate batteries, which he says are purpose-built for use in homes. “Ours is a very, very safe battery,” Parratt told One Step. “In Europe, we have 30,000 installations and some of those have been around since 2010, and not one fire has happened, no one has been injured. Germany has proved that they can be safe. Zen’s Turner adds: “The problem is we’ve got such archaic building codes here. When you talk lithium-ion, people don’t understand there are many variations, some are flammable, but many are not flammable, such as lithium-iron phosphate, which is what goes in most homes around the world. Big insurance is generally behind such regulatory crap. Keep in mind the exploding samsung s 7’s. You can forget about using this device on a flight etc. etc. It is good that adequate guidelines and standards will be established with storage batteries, lest we want another pink batt wrecking ball event. It might be as simple as having bricks behind the wall li. Personally that is why I am keen to see how the native Redflow batteries come along because they are zinc/bromide based and far less hazardous than Li-ION. but I am in no hurry. Ootz I think the flow batteries are fairly large and won’t always fit against a wall. They are unable to have a thermal runaway event because they are essentially just two tanks of non-combustible fluid. Most of the double garages being built up here have a built in cupboard along the side solid core filled block wall, a couple of fire rated doors would be fine, extra $600. It is heartening to see that Mr Abbott is following so faithfully his own (verbal) promise that there would be “no sniping”. Of course he didn’t put that promise in writing. Now, I’ve never served in the Army, so could be mistaken, but as I understand sniping it is done from a concealed position with careful stealth, preferably not revealing one’s weapon, and attempts to pick off a small target. Mr Abbott is certainly not doing that. He fires artillery, in the open, aiming to score direct hits on a whole phalanx of opponents. He is keeping his promise. Pass the popcorn, Corporal. Thanks Geoff, I am aware of their size and it doesn’t trouble me I life on 2 acres. when I designed and built our dwelling, I made it solar and battery ready. There is an open carport next to the garage perfect to store sufficient energy storage. My goto solar bloke showed me entire system solar/battery energy packs in container size, kind of similar diesel/gen units which fit on a semi. He hires them to remote road construction mobs. They truck it into a camp, set system up, slide panels out from unit set the electrics up and hook up distribution to users in the camp. Many many decades ago in my apprenticeship on a Swiss mountain railway, we used to have to service, what I believe were Ni-Fe. Again low hazard but bulky, but there were still remnants of a very old custom made large-scale lead acid set up like large aquariums with lead plates that looked like they have been poured from molten lead, not unlike very large tin solders which were fashionable in early 20C. It was back up to power a small rail car in emergency when no power due to avalanches rock fall etc. That one was a horizontal adhesion driven car, the connecting two cable cars were gravity driven by water. That was then, on my recent visit, after a very long absence, I informed myself what state the Swiss and European Energy systems are. I may make some comments in relation to the OP of where things are up to over there. Besides that there are some indications that due to Trump’s volatile politics, the energy situation in US could rapidly change for the better. Some say, it could be due to extreme policies speeding up ‘natural’ progress or due to Trump changing his mind altogether. I mean he himself says he can say and do what ever he likes and darling Ivanka is onto the climate change thing. I mean who would have given credit to a crook like Nixon to open up China, now that was a turn around? “”The European electricity system is undergoing big changes at present. The transition towards a low-carbon economy means a growing role for renewable energy sources, greater energy efficiency and the electrification of transport and other sectors. It also involves giving consumers a more meaningful role, allowing them to manage their demand actively, produce electricity for self-consumption and feed the excess into the grid. In this context, electricity markets, regulations and technical infrastructures need to be adapted to a world in which large utilities no longer dominate the market. Furthermore, markets need to be redesigned in such a way as to encourage investment in low-carbon technologies, while at the same time safeguarding security of supply and keeping costs for households and industry under control. “”More than one quarter (27.4 %) of the net electricity generated in the EU-28 in 2014 came from nuclear power plants, while almost double this share (47.6 %) came from power stations using combustible fuels (such as natural gas, coal and oil). Among the renewable energy sources shown in Figure 1, the highest share of net electricity generation in 2014 was from hydropower plants (13.2 %), followed by wind turbines (8.3 %) and solar power (3.2 %). Thanks for both links, Ootz. I have heard before that the Europeans manage to implement better cooperation between countries than we do between our states.. This is another quite dramatic example. They’ve been working on it consistently, anticipating problems, new developments and opportunities, with an overall vision that gives a clear priority to renewables. We’ve been asleep at the wheel. BTW, the European system is very much a distributed system, with mechanisms for co-operation and long-term planning. Responsibilities seem to match the political system, including the connecting bits. I heard today a university political commentator in Adelaide say that the electricity system in SA was going to be absolutely central to the next state election. We’ll have to expect, then, that Weatherill will take steps to regain control.